You’ll get insight and updates from leading Hadoop vendors like MapR (page 6), Hortonworks (page 8), and Cloudera (page 14). 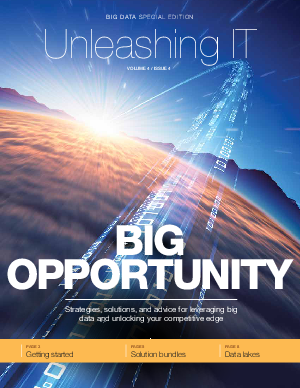 You’ll learn about solution bundles that take the guesswork and complexity out of big data deployments (page 5). And you’ll hear how the global leader in web and video conferencing (page 16) and one of America’s most populous cities (page 18) are transforming their data resources into business insights.